Blackpool substitute Viv Solomon-Otabor scored with virtually his first touch to earn the Seasiders a deserved point in a 1-1 draw at Walsall. Erhun Oztumer's glorious 25-yard free-kick put Walsall ahead at the break but Birmingham loanee Solomon-Otabor fired Blackpool level midway through the second half. Blackpool came close to taking a third-minute lead as debutant Jay Spearing's corner was headed inches wide by Clark Robertson. 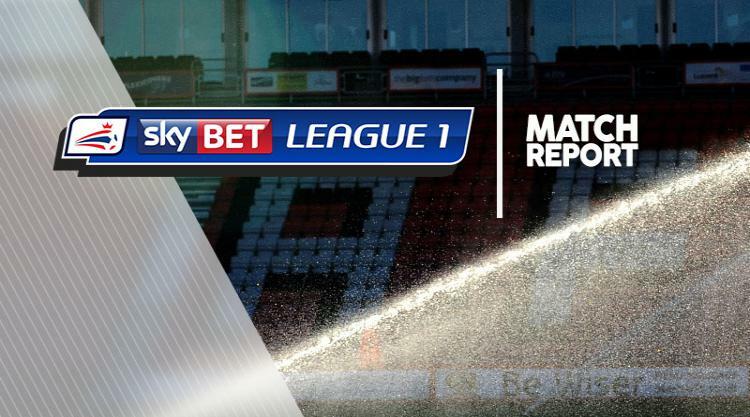 Walsall led on 18 minutes as Blackpool defender Colin Daniel was harshly penalised for a foul on Daniel Agyei and Oztumer curled a stunning 25-yard free-kick into the top corner. Only goalkeeper Mark Gillespie kept Walsall ahead at the break as he saved with his legs from Kyle Vassell and swatted away a vicious 20-yard Jimmy Ryan free-kick. Nathan Delfouneso nodded over from six yards just before the break but Blackpool finally levelled after 65 minutes. Solomon-Otabor, with his first meaningful touch after coming on, surged into the box and lashed underneath Gillespie from 12 yards. Walsall thought they had won it six minutes later but Jon Guthrie's close-range header from Joe Edwards' corner was disallowed for a push.